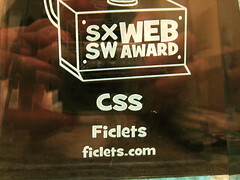 How awesome: Ficlets, the collaborative fiction site I was a part of, won a Web award at SXSW. And I got mentioned among others in the acceptance speech by Kevin Lawver, who took home the award. That was very nice of him, but it should be noted that he’s the brains behind the operation and deserves much of the credit for the success of the site. My part — smiling and waving (and blogging) — was easy. His part and the part of others (i.e., the backend) was a whole bunch harder. Congratulations to Kevin, and to all the Ficlets folks. 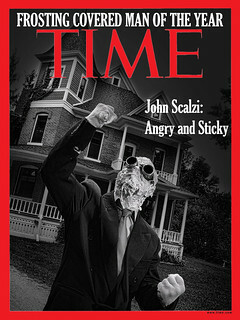 Wow, you say, I bet John Scalzi gets sent a ton of books. You’d win that bet! Here’s some of what’s been sent to me recently, most of which is just out, or on its way in the next month or two. 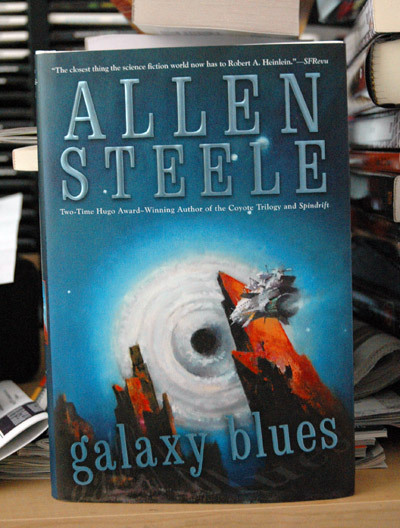 * Galaxy Blues, Allen Steele — I’m pretty sure I’ve mentioned I’m a fan of Allen’s from way back, so any time I pop open a package and one of his books pops out it earns a total, unforced “oh, cool,” from me. This one arrived not more than 30 minutes ago, so I’ve barely had time to read the jacket copy, but what it tells me is that this is another book in set in the Coyote universe, although like Spindrift (Allen’s book prior to this) it’s not directly focused on the world of Coyote itself. I like this kind of universe expanding myself — the idea that you created a universe for one set of stories but that it’s sturdy enough for another set as well. Waste not, want not. I’m looking forward to reading this one at leisure, and soon. This one will be available in a couple of weeks: April 1, to be exact. Also in the mailing that sent me Galaxy Blues: Dragons Wild, by Robert Asprin, in which a slumming rich kid discovers that he’s actually a dragon. Well, and who hasn’t had that happen, hmmmm? It also hits on 4/1. * My Miserable, Lonely, Lesbian Pregnancy, Andrea Askowitz — I got this and read the title, and the smartass part of my brain said “but, wait! Lesbian pregnancies are always happy occasions!” Because, you know. Generally lesbian pregnancies don’t come as a surprise or anything. This one’s a memoir, and meant to be funny, and has a cute cover (of an upside down rubber duck) that looks enough like it should be a kid’s book that Krissy accidentally put it into a stack of Athena’s books while she was cleaning downstairs. One part of me would be very amused to see Athena pick up the book, read the first chapter and then ask me to explain artificial insemination to her, but the other part of me thinks that maybe she should wait until she’s ten for that. 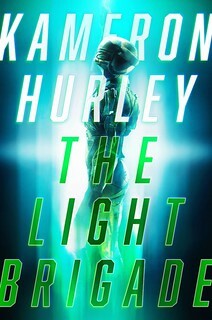 This one comes out in May. * Mouse Guard: Fall 1152, David Petersen — A compilation of the 2006 six-issue comic book series about sentient medieval mice, which garnered author/illustrator Petersen the Russ Manning Most Promising Newcomer Award (sort of like the Campbell Award for comic books). It’s very pretty, although scenes of mousy torture are a bit incongruous. But I suppose that’s part of the appeal. Out in two weeks. * Goblin War, Jim C. Hines — Jim’s Goblin series has been developing quite a following, I think partly because his Goblin hero Jig pretty neatly fits the Eddie Izzard description of why everyone loves Shaggy and Scooby (if you don’t know this, first, what’s wrong with you, and second, go here and fast forward to 3:05). Basically, Jig’s the guy you identify with because really he’d rather just be at home having a snack instead of fighting the forces of Evil. Mmmm… snacks. Even if his idea of a snack is something fairly vile, because after all, he’s a goblin. On the other hand, Australians eat Vegemite, so who are we to say. Conclusion: Australians are goblins. I just put that in to annoy Justine Larbalestier, whenever she comes around to read this. In any event, Goblin War is out now. * Looking out toward June release dates, two ARCs I’ve received are particular interest to me: Murder at the Bad Girl’s Bar and Grill, by N.M. Kelby, and Escapement, by Jay Lake. The first of these (a murder mystery, if you can’t guess from the title) comes from an author who has been enthusiastically recommended to me by Galleycat’s Ron Hogan, and I trust his taste enough to put it on my “to be read” pile (lesson here: personal recommendations work. But you knew that). The second of these is the follow-on to Jay Lake’s Mainspring, which most of you know I was enthusiastic about when it came out, because Jay mad world-building skillz. He’s telling another story in his clockwork universe, and I can’t wait to get into it and see what he’s done this time. And that’s some of what I’m looking at in book form. Since this is a feature called “The Big Idea,” it’s worth asking how authors get to the big idea in their books in the first place — do they start with the big idea and then build around it, or do they start writing and hope they come across a big idea while they’re going along? My own expectation is that there are basically as many ways to come to big idea as there are authors: Each does it differently. To accentuate this point, here is author Julie Buxbaum, who while writing her highly praised debut The Opposite of Love (“a welcome addition to the having-it-all genre” — Library Journal) came to the big idea of the book not in a straightforward but in a sideways sort of fashion — in a way, basically, perfectly fitting the situation of her main character and her own journey through the story. I didn’t have a moment when I was suddenly struck with The Big Idea, where my scribbling turned into something with capital letters and a tag line perfect for the cover copy. I wish it happened that way for me, but I have a habit of going about things backwards and sideways. I have always been one of those strange people who likes to parallel park; I am not so good at things that are straightforward. When I sat down to write The Opposite of Love, instead of starting with a central plot line, I found myself starting thematically, digging into the subtext: I wasn’t sure what would happen in the novel, or who would be my cast of characters, I just knew that I wanted to explore what happens to us when we delay grief, and wanted to do that with a plot that wasn’t, at least on its surface, about grief at all. A picture of a character emerged, someone stuck in a late coming of age, dealing with the complexities of love and loss: Emily Haxby, a twenty nine year old attorney, who “simultaneously longs for and fears the commitment of remembering,” and who gets “pleasure out of breaking her own heart.” She has a difficult relationship with her emotionally distant father, and seek refuge in a job she despises as a litigator at a large law firm in Manhattan. In her romantic life, she’s crippled by commitment phobia, which runs so deeps she has never learned to ride a bicycle “because among other reasons, it is something you can never forget.” Perhaps, most importantly, I pictured Emily fifteen years after the death of her mother—long enough that the reader is not watching the immediate after-effects of loss, but rather the manifestations of a long pent-up grief, its subtext playing out in every facet of Emily’s life. Once I understood and could hear the voice of my main character—once she became a living and breathing person to me—the plot unfolded in a surprisingly (and uncharacteristically) linear fashion. And yet while this surface plot, Emily’s life unraveling on pretty much all fronts—familial, romantic, professional—became clear, the subtext I was so interested in when I set out to write continued to propel the novel forward. For example, Emily aging grandfather’s struggles with Alzheimer’s mirror her own grappling with memory and identity. Her professional life, full of drama and moral dilemmas, is mere white noise to her own inability to cope with her grief. Again, her barriers to commitment stem directly from this early devastating experiences of mother-loss. But the trick was to keep the subtext as subtext, and to not hit the reader over the head with my thematic concerns, and it turns out, backing my way into the novel helped me to negotiate this difficult balancing act. Before long, the voices in my head became crowded, additional characters popping up and integrating the story both on a plot level and a thematic level, setting the course of Emily’s journey. And I guess mine too. A Big Idea coming together, sideways and backwards, and ultimately, straightening out, just how I like it. A solid parallel park. Read an excerpt of The Opposite of Love here (which, incidentally, starts with the following really great paragraph: “Last night, I dreamt that I chopped Andrew up into a hundred little pieces, like a Benihana chef, and ate them, one by one. He tasted like chicken. Afterward, I felt full but slightly disappointed. I had been craving steak.”). Listen to a podcast from Julie Buxbaum explaining her characters here. Buxbaum’s tour schedule is here. Finally, read a review of The Opposite of Love in the Washington Post (“Carrie Bradshaw’s Smarter Sister”) here. Authors, learn how to participate in The Big Idea feature here. Replace “villain” with “Patrick Nielsen Hayden,” “the monologue” with “blogging on Making Light” and “his dastardly plan” with “what’s up with the upcoming Tor.Com site,” and you’ve got some idea of what’s going on here. For those of you confused by so many quotation marks, PNH is explaining why Tor is giving away so many free eBooks recently, and how you can be part of it. Yes, you. Don’t look over your shoulder, man. We’re having a conversation, you and me. What I’m saying is that the plan for Tor.Com is pretty damn cool. Yes, I’ve known about all this for a while. Yes, I’m involved in a more than tangential way. Bwa ha ha ha ha hah ha.